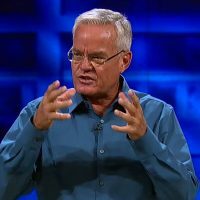 (Manya Brachear Pashman – Chicago Tribune) Two Christian book publishers have suspended publication of books by Bill Hybels, the megachurch pastor and best-selling author who stepped down from the helm of Willow Creek Community Church amid allegations of improper conduct with women. Tyndale House Publishers in Carol Stream has suspended its plans to publish “Everyone Wins When a Leader Gets Better,” which was scheduled for release in August. That month, Hybels was to have hosted the renowned Global Leadership Summit, a conference sponsored by the related nonprofit Willow Creek Association, but Hybels bowed out of that as well. “We will make a final decision regarding potential publication after we absorb the facts and implications related to these allegations,” Todd Starowitz, a spokesman for Tyndale House, said in a statement. Westmont-based InterVarsity Press also announced it would not reprint Hybels’ book titled “Who You Are When No One’s Looking,” a book about the importance of maintaining consistent moral character, and its companion study guide.